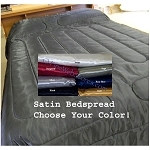 Water bed King Size Bed Dimensions are 72 inches wide x 84 inches long. These are standard Water bed King bed measurements.Many times, actual king water bed mattress dimensions will vary by up to three inches, usually smaller. Water bed King Mattress depths can vary. 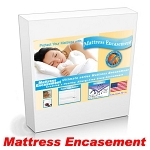 In general, a wood sided water bed mattress is 8 to 9 inches tall.